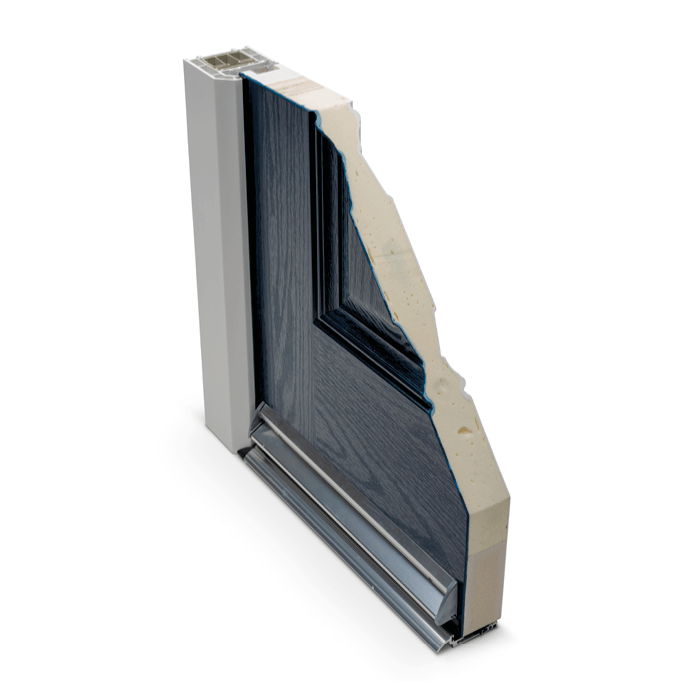 What are Hurst Composite doors made from? Hurst Composite doors are made from a variety of different materials to ensure quality, strength and security of the highest standards. These materials are specifically selected for their properties, helping to keep your home safe and secure. What are the benefits of a Hurst Composite door? 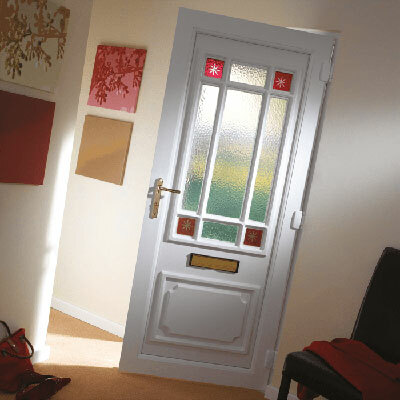 Hurst Composite doors offer unparalleled security with superb sound and heat insulation. They’re exceptionally durable and require low maintenance, thanks to their excellent weatherproofing. Specific details of the product benefits can be found on our Composite Collection Overview page. Why are Hurst Composite doors better than other doors? Exceptional strength. The high impact Glass Reinforced Polyester (GRP) skin offers exceptional durability and will maintain its appearance against everyday knocks and scratches. Safe and secure. The GRP skin of composite doors is able to withstand a higher level of force than most other doors and prevents the door from warping during seasonal changes. Hassle-free. Hurst composite doors have a maintenance-free finish, making it easy to keep clean. No sanding and painting is required to keep the door protected and looking fresh. It also won’t fade or discolour over time like other doors on the market. Fantastic value for money. Composite doors have a longer lifespan than most doors, increasing the cost efficiency and reducing the environmental impact of the door. Unparalleled choice. Make your door your own by choosing from over 1000 colour options and a wide range of glass options and stylistic features. We’re proud of the high quality of our doors and we’re so sure you’ll love them that all our composite doors come with a 10-year guarantee. Our composite doors can be sprayed in any one of 1,600 RAL Colours. For full details of the colours available for your composite door, visit our colour page. 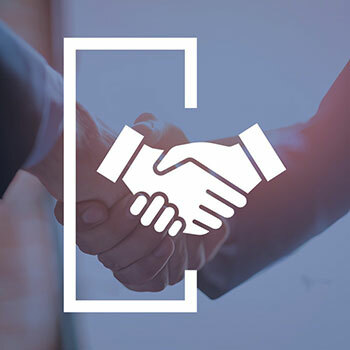 Secured by Design (SBD) is a flagship UK police initiative with the central objective of ‘designing out crime’ through the use of high-quality innovative products and processes, supporting crime prevention in UK homes. In order to achieve Secure by Design status, our composite doors have been rigorously tested and must adhere to the organisation’s strict standards. Statistics show that when it comes to burglaries in the UK, front doors are still the main source of access. These accreditations are our assurance to you that our doors will help keep your home as safe and secure as possible. Our Secured by Design upgrade meets the national standard for safer homes and is also recognised by most insurance companies. Our products have been tested at a UKAS accredited test house and have achieved BS:PAS 24 Enhanced Security Requirements. PAS 24 : 2016, published by the British Standards Institute, provides a method for testing and assessing the enhanced security performance requirements of external doorsets and windows in the UK. How do I clean and maintain my composite door? Composite doors are low maintenance and can be kept looking brand new with nothing more than the application of warm soapy water and a lint free cloth, dried clean with a soft clean cloth. Is there anything I should avoid applying to my composite door? 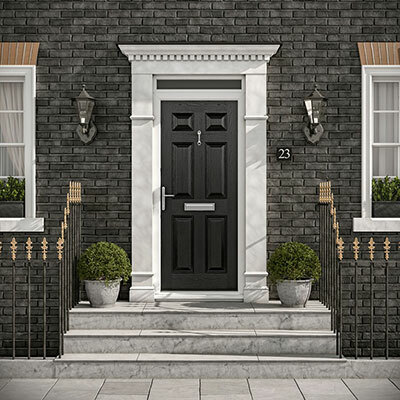 The colour on your composite door runs through its entirety, unlike timber doors, which simply have a lick of paint added to the surface of them for a cosmetic finishing touch. It’s this depth that keeps the colour strong and resists fading for many, many years. Because of this, you’ll find it difficult to paint over the composite door’s original colour without it looking untidy. Thankfully, we have over 1600 colours for you to choose from, so finding your perfect colour should never be a problem. As such, it is recommended that you do not try to paint your composite door yourself, without speaking to a professional first. If you are simply wanting to clean up the look of your composite door, you’ll find that a warm, soapy wash does the job. Can I touch up the colour on my front door if it is knocked or damaged? If you’re looking to paint the composite door to cover up some scratches, you don’t have to worry about repainting the entire door and potentially ruining its look and feel. There are some touch up pens available to buy that are perfect for filling in the odd scratch or groove on your door, these will save you the cost of replacing the door entirely. Ask your installer for details. 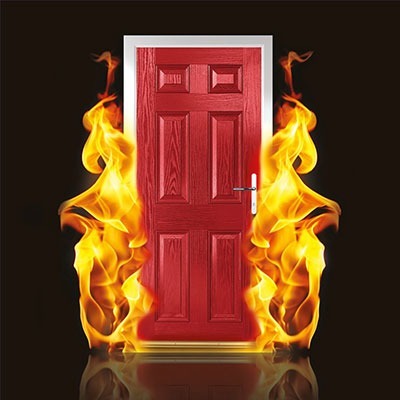 How thermally efficient are Hurst Composite doors? A Hurst composite door is the best choice you can make for thermal efficiency. Tests* prove a Hurst GRP composite door is up to 19% more thermally efficient than a 48mm solid timber core composite door and up to 17% more thermally efficient than a 44mm traditional timber panelled door. *Statistics based on independent research carried out on doors at the University of Salford’s Energy House. The U Value measures how well a component (such as a roof, wall, window, or premium quality door) keeps heat inside a building. The higher the U Value, the less efficient your components will be; a good U Value is a low one. 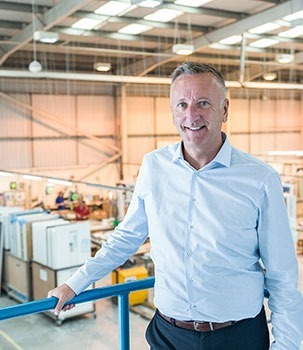 The rating of your door will be influenced by its glazing content. The UK Building Regulations minimum U value requirement is of 1.6 W/Mtr2/K. Hurst composite doors are equal to or less than 1.3 W/Mtr2/K. Use our door designer to create the perfect entrance to your home and complete the enquiry form at the end of the process. Your design will be sent to your local installer and they will contact you to discuss your requirements and provide a quote. Where can I purchase Hurst Composite doors in my area? To locate your nearest Hurst Composite door installer please use our locator tool. Brochures can be downloaded from our website or if you would prefer a hard copy, please complete our contact form and we’ll pop it in the post. 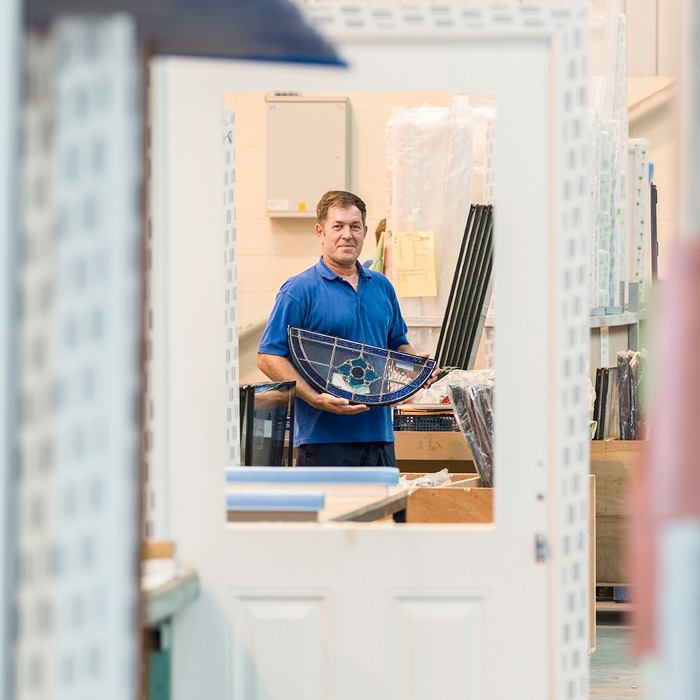 We only show a selection of our standard door styles and glasses in our brochure, so if there’s something you’ve seen elsewhere or if you’re looking for a unique door, simply ask your installer to speak to us – we’ll do everything we can to help you find the perfect door for your home. Who should I contact if I have any questions regarding my new Hurst door? If you have any questions regarding your new door, please contact your installer who will be able to help you.